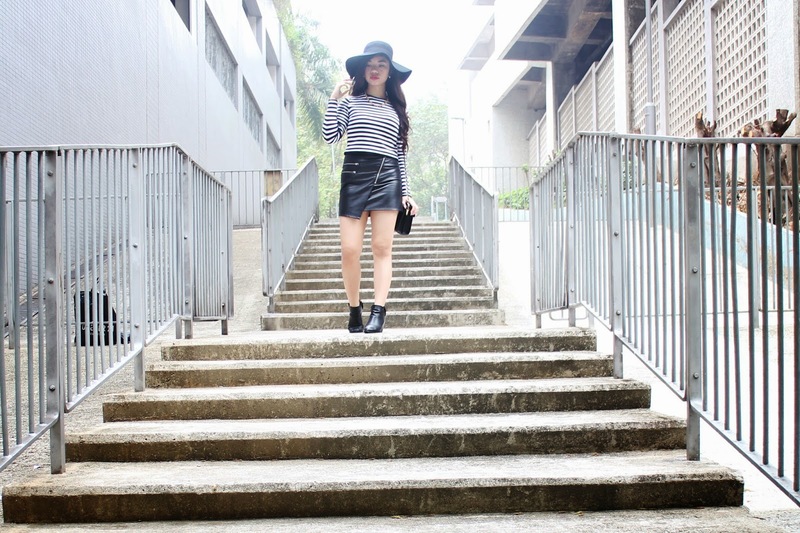 Woohoo, Another Outfit post right after 2 days:) I am ON A ROLL, BABY. Ehem. 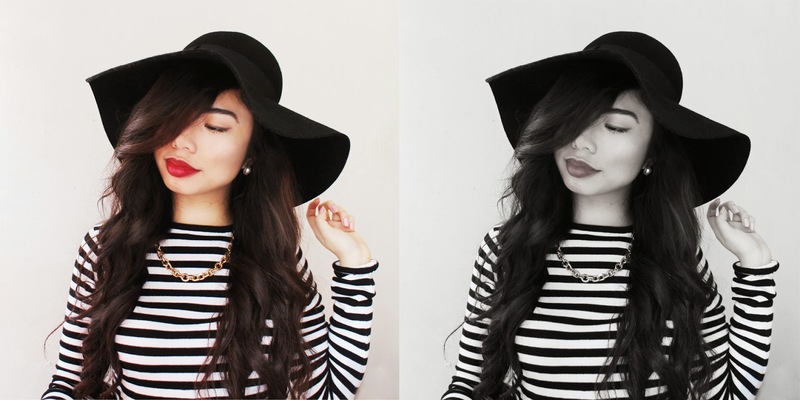 Whenever I see black & white stripes, I think of the stereotypical French painter with a beret tilted to the side. You know, like in the past circa 19th century. AHAHA, don’t you think so? Or is it only me? My outfit today was centered around my wide-brimmed hat. I wanted to create a classic look with a modern, edgy twist by pairing a classic striped top with an asymmetrical skirt, chain-link necklace and boots. Basically a modern-classic juxtaposition. Oooh, I think I just got what title to put up for this blogpost! :D And of course, nothing completes a classic/modern/monochromatic look like a Marilyn Monroe Lip. Stripes! You look amazing 🙂 Love the red lipstick on you too! Omg this is my favorite look from you <3 Stripes outfit makes you looks so cute! What a great look, amazing! Nice outfit and such a stylish photoshoot! Loves it! oh man, you've got beautiful full lips. Love this outfit! The stripe top is so perfect with your skirt 🙂 And oooo your hair is gorgeous!